The TEAM creates all of our work collaboratively through a variety of strategies including physical and verbal improvisation, solo and group writing assignments, and character and movement compositions. In a final production it is nearly impossible to trace any one line of dialogue or image back to a single author’s hand. Devising Within a Democracy workshops gives participants insight into a mini devising process, providing tools and strategies for solo and group creation, working through delicate issues of collaboration and group authorship, and bridging into the editing and synthesizing process. 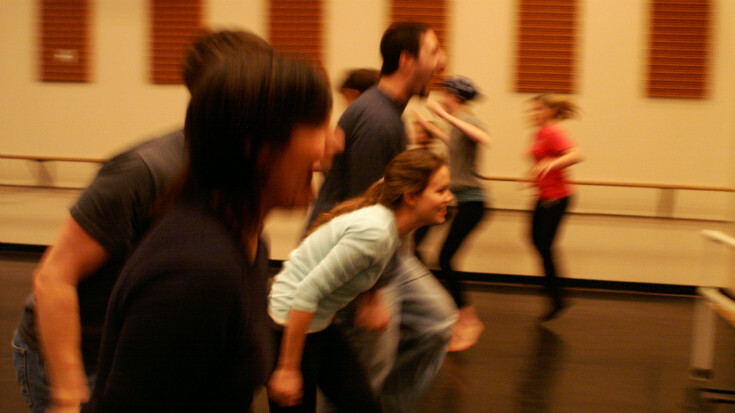 This workshop is open to artists at all levels of experience, ages 18+. Led by the TEAM’s Producing Director Alexandra Lalonde and industry guests, our self-producing series continues this fall, with more workshops about the business side of making and sustaining your work. Each two-hour session is a peer-to-peer discussion over drinks–your $30 registration fee includes beer and wine. *check back again for 2019 workshops!